Ottawa shooting: Where did Michael Zehaf-Bibeau get his gun? 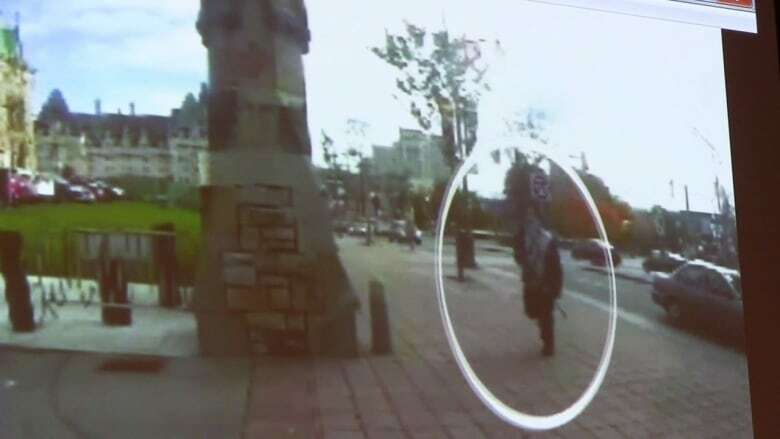 Investigators say the Winchester .30-30 calibre rifle used by Michael Zehaf-Bibeau in this week's Ottawa shootings on Parliament Hill may be a critical piece of evidence as they try to reconstruct his activities prior to the attack. "The source of that gun is of tremendous interest to us," said RCMP Commissioner Bob Paulson on Thursday, "and we will determine where that gun came from." The Winchester Model 94 is perhaps the most common and recognizable deer-hunting rifle in North America. It has been in constant production since 1894, with more than seven million sold. It is sometimes known as "the gun that won the West." The design of the lever-action rifle, virtually unchanged for 120 years, may have limited Zehaf-Bibeau's ability to inflict mass casualties on Parliament Hill. Advanced by the standards of 1894, it holds a maximum of eight rounds, but more normally seven, stored end-to-end in a tube under the barrel. It is not semi-automatic; the lever must be racked between shots. Unlike more modern rifles that can be reloaded with a clip or magazine containing multiple rounds, the Winchester, once empty, must be painstakingly reloaded round-by-round, inserting the cartridges into a small port on the side of the receiver. The process takes an experienced shooter about 30 seconds -- an eternity in the kind of shootout that took place inside Centre Block. The RCMP confirmed yesterday that Zehaf-Bibeau fired three shots at the National War Memorial: two at Cpl. Nathan Cirillo and one at the other soldier in the honour guard. That means he would have had a maximum of five shots left, and more likely four, when he headed for Parliament. Security camera pictures show that he did not pause to reload. That fact may explain why Zehaf-Bibeau passed on two easy opportunities to kill people on Parliament Hill. First, he allowed the driver of a government car he hijacked to escape. A few seconds later, he exited the car at the front doors of Centre Block, only metres from a group of three individuals. Again, he did not open fire. Had he shot those people, he would have been entering Parliament with an empty rifle. If his attack was indeed inspired by ISIS propaganda, it seems unlikely that he would have been so discriminating in his choice of targets. ISIS spokesman Abu Muhammad al-Adnani specifically instructed the group's adherents in the West not to spare civilians, in a video message released last month. "If you can kill a disbelieving American or European … or an Australian, or a Canadian, or any other disbeliever from the disbelievers waging war … then rely upon Allah, and kill him in any manner or way however it may be," said al-Adnani. "Kill the disbeliever whether he is civilian or military, for they have the same ruling. Both of them are disbelievers." RCMP Commissioner Bob Paulson revealed yesterday that Zehaf-Bibeau was under a criminal prohibition from possessing firearms. It is standard practice in Canada for courts to issue a lifetime gun ban to almost anyone convicted of a violent offence. Even where such bans are not imposed, Zehaf-Bibeau would have found it virtually impossible to legally obtain a gun in Canada. Ottawa lawyer Solomon Friedman is one of Canada's leading experts on firearms law, and has testified several times before Parliament on the issue.